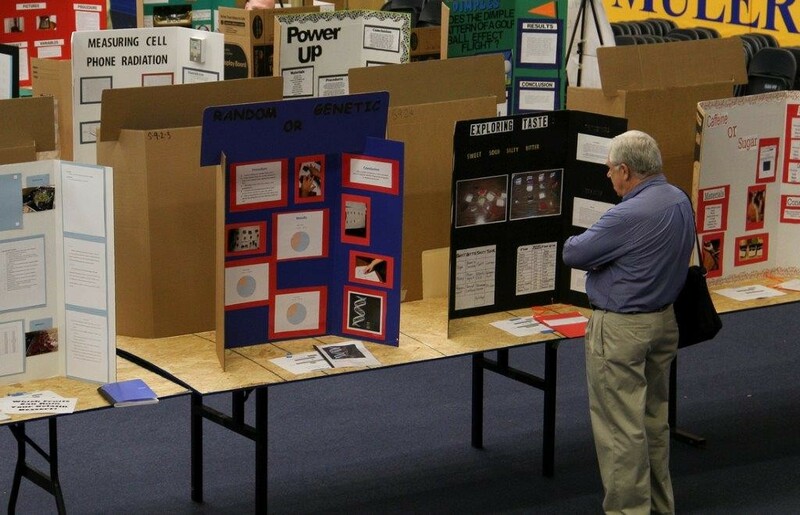 Students from seventeen local schools competed in the Regional Science Fair at Southern Arkansas University, showcasing more than 260 projects. 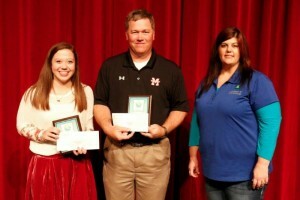 An award ceremony was held at Harton Theatre for the Junior and Senior High levels. The Albemarle Foundation, represented by Kimberly Jones, presented six awards. 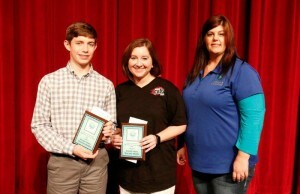 Jones presented two awards in the Senior High division including Keith Watson and his teacher Brandy Browning and Elise McWilliams and her teacher Brett Miller. 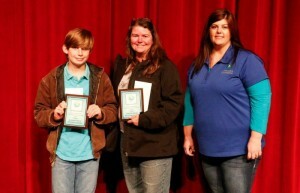 She also presented an award to a student in the Junior High Division, Stephen Yearkes and his teacher Megan Yearkes. Watson is a 9th grade student at Magnolia Junior High School. His project “Are Your Pets Silently Killing You?” was chosen from the medicine and health category. 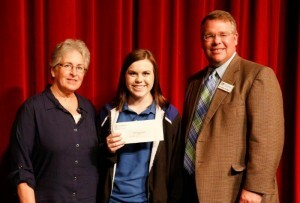 McWilliams is a 9th grade student at Magnolia Junior High School. Her project “Dropping Like Fleas” was part of the earth and environmental science category. Yearkes is an 8th grade student at HEART Home School. His project “Power of Arches” was part of the engineering category. Representing Southern Arkansas University Foundation, Executive Director Jeanie Bismark presented the Ves Childs Award to Abigal Wells. Wells is a 9th grade student from Columbia Christian School. Her project “Plant Power” was in the earth and environmental science category. Bismark spoke of Ves Childs’ amazing accomplishments throughout his career which included being listed as the inventor on 52 US patents at the time of his death in 2009. Childs’ love for science prompted him to start an endowment to promote the teaching of science in public schools. 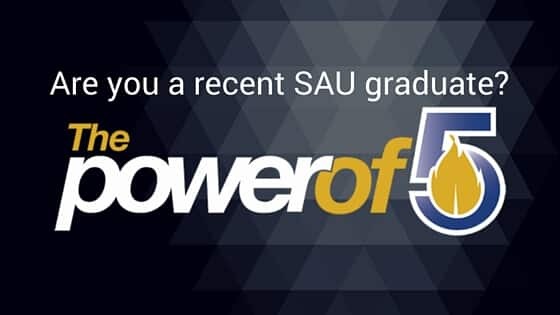 To learn more about how you can start an endowment to invest in the lives of the next generation, please call the SAU Foundation office at (870) 235-4078.